Low bone mineral density (BMD) and subsequent skeletal fragility have emerged as a long-term complication of phenylketonuria (PKU). 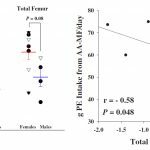 The object of this study is to determine if there are differences in BMD and body composition between male and female participants with PKU. 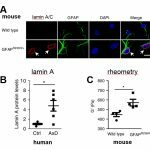 Glial cells have increasingly been implicated as active participants in the pathogenesis of neurological diseases, but critical pathways and mechanisms controlling glial function and secondary non-cell autonomous neuronal injury remain incompletely defined. The FMR1 premutation affects millions of people around the globe. 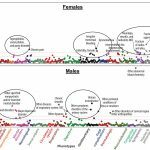 Despite the high prevalence, the potential impact of this genetic variant on human health has not been fully explored. Here, we created the first population-based FMR1-informed biobank to discover the pattern of health characteristics in premutation carriers. 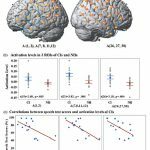 To investigate the feasibility of using functional near infrared spectroscopy (fNIRS) to image cortical activity in cochlear implant (CI) users and normal hearing (NH) adults, using either visual-speech or auditory-speech. Neuroticism is a stable and heritable personality trait that is strongly linked to depression. Yet, little is known about its association with late life depression, as well as how neuroticism eventuates into depression. This article reviews research on executive function (EF) skills in children with autism spectrum disorder (ASD) and the relation between EF and language abilities. 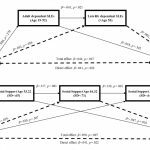 The current study assessed EF using nonverbal tasks of inhibition, shifting, and updating of working memory (WM) in school-age children with ASD. 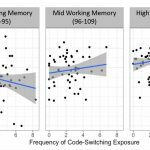 This study investigated whether the effect of exposure to code-switching on bilingual children’s language performance varied depending on verbal working memory. A large sample of school-aged Spanish-English bilingual children (N = 174, Mage = 7.78) was recruited, and children were administered language measures in English and Spanish. 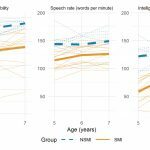 We examined growth between 5 and 7 years in speech intelligibility, speech rate, and intelligible words per minute (IWPM) in three groups of children: those who were typically developing (TD), those with cerebral palsy (CP) and clinical speech motor impairment (SMI), and those with CP and no speech motor impairment (NSMI). Approximately 1 in 20 people experience a kind of "mixing of the senses", known as synesthesia. 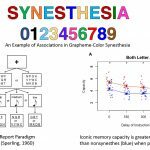 In the type of synesthesia we are investigating here, "grapheme‐color synesthesia" letters and numbers (collectively referred to as graphemes) automatically and involuntarily elicit color experiences (top section). This type of synesthesia affects approximately 1% of the population. 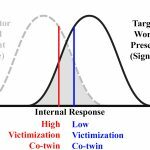 Peer victimization impacts 13% of adolescents worldwide (Currie et al. 2012). 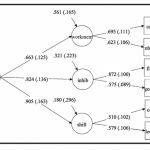 Despite its prevalence and associated adverse outcomes, global cognitive processes that could be affected by peer victimization have not been thoroughly investigated.